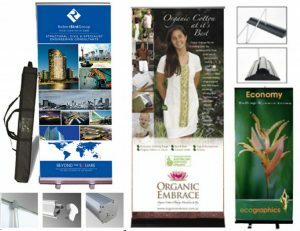 Retractable banners are a great economical way to communicate your message and promote your business, branding or product and are ideally suited for information displays. These lightweight, freestanding portable banners are an effective signage solution sure to grab the attention you are looking for. Signsations produce top quality, colour correct portable roll up banners, tailor made to suit your business needs great for exhibitions, trade show, conferences, product launches and any special event. Come with zip up carry bag and strap. Are opaque, non curling, tear and water resistant. Display eyecatching, brilliant, professional and correct print quality that is on satin glare resistant media. Stands 211cm x 85cm single sided quality printed banner. Aluminium Sturdy black wide base and long lasting quality. Extra heavy duty spring mechanism. More stable wide base 4kg retrator unit. Retractable pole is neatly already attached to retractor unit so it’s simply a matter of pulling up the banner and hooking it to the top frame. When ready for packing away, you unhook the banner from the pole, and while holding, retract the banner back into the unit. It’s that easy! Stands 200cm x 85cm single sided. 3kg retractor unit. Retractor unit base silver in colour. Quality unit and mechanism made to Australian standards. Easy and less than one minute set up and pack away. Different sized pull up banners. Ie 1000mm wide. 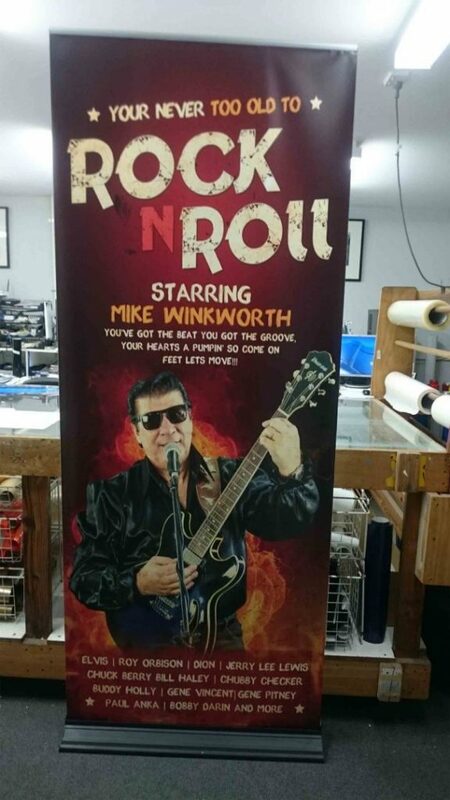 Double sided roll up banners. Large trade show displays or exhibition stands, see business signs. You can have Signsations professionally design your advertising layout for a roll up banner stand. As our industry clients do, if you are supplying your own artwork file, please read art specifications. If supplying your own art file, please allow 20cm at bottom, 2cm at top extra bleed. Please know digitally printied posters can easily and cost effectively be transported from Signsations Australia wide.